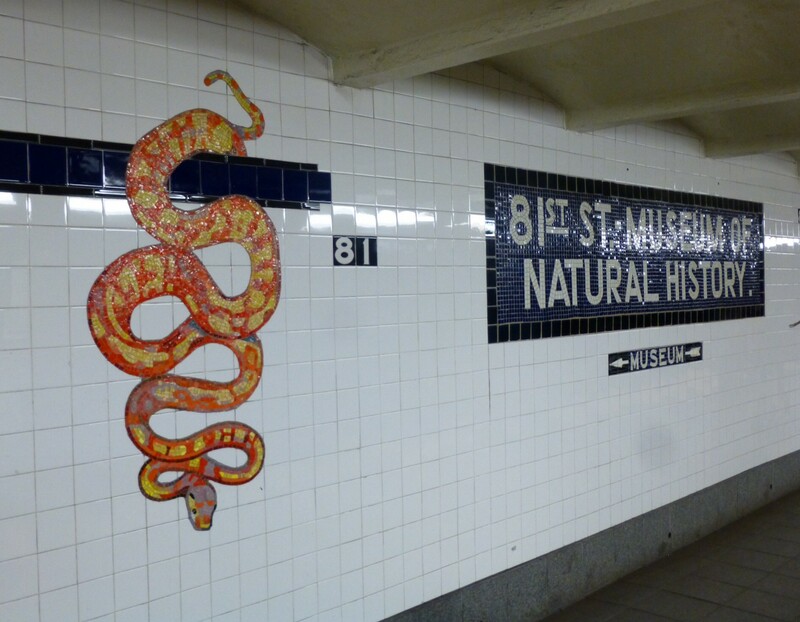 If you happen to be on the NYC Subway, in transit to the American Museum of Natural History via the C Train, and you are not entirely sure which stop to get off at, don’t even worry about it. 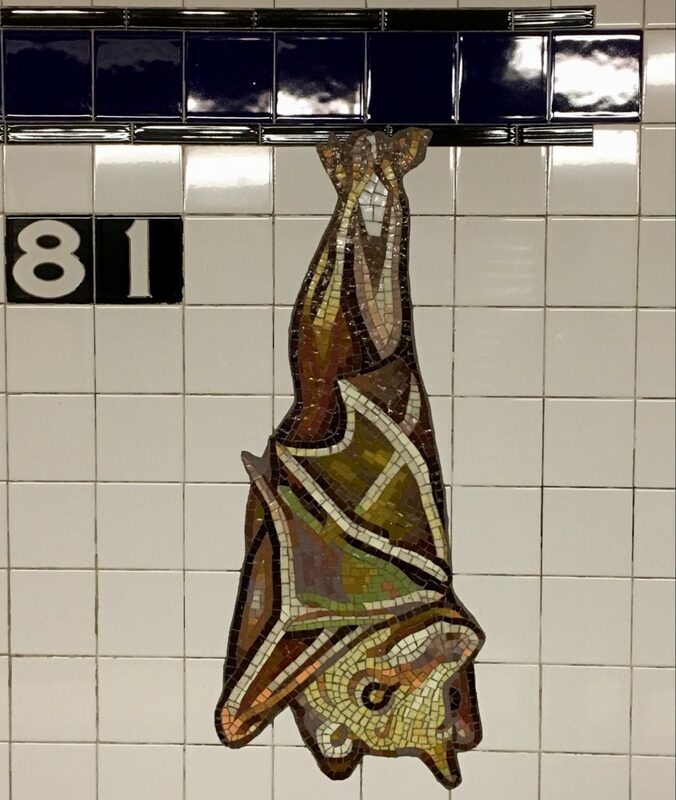 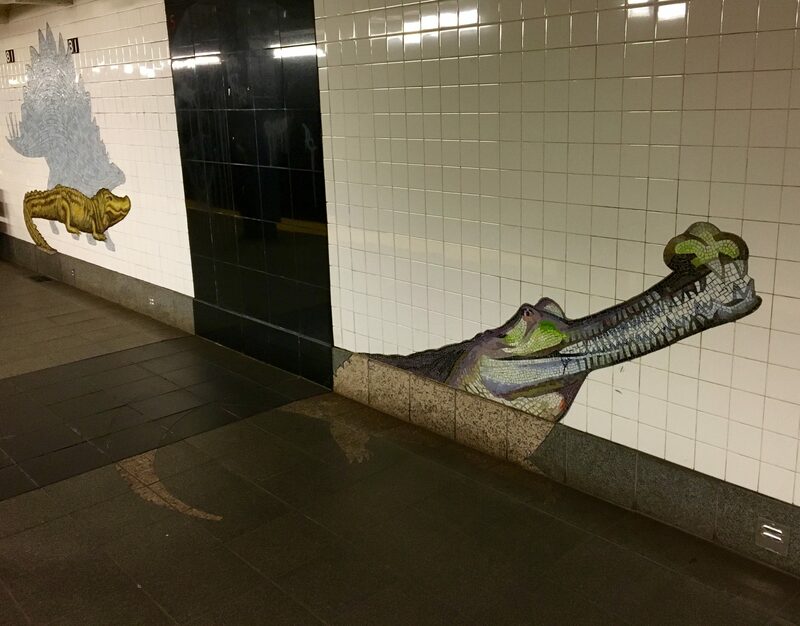 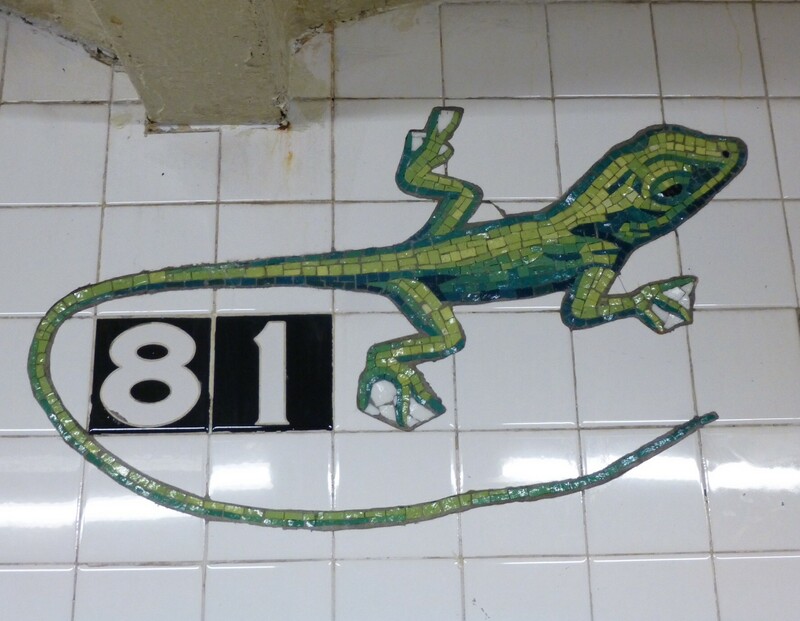 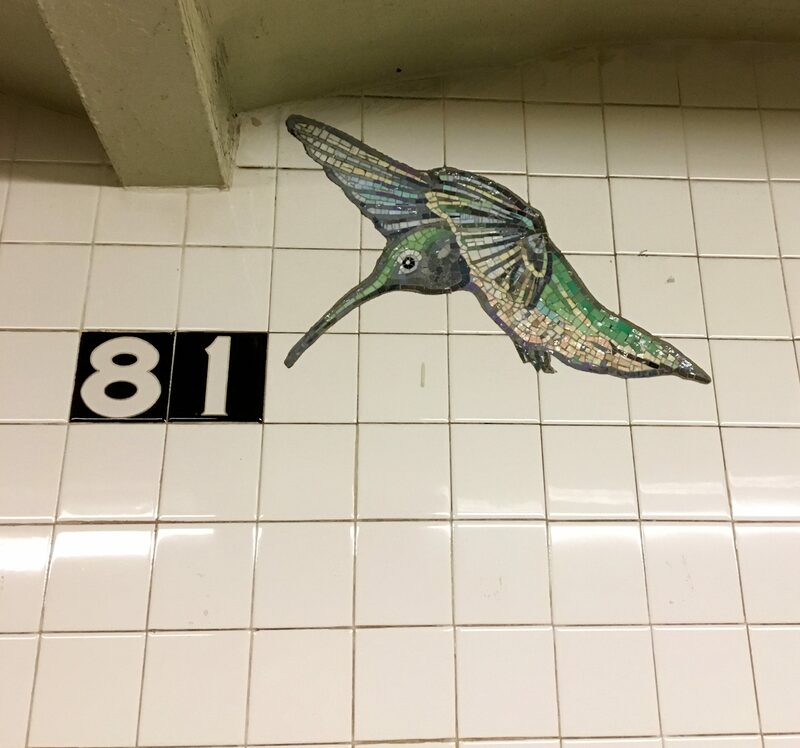 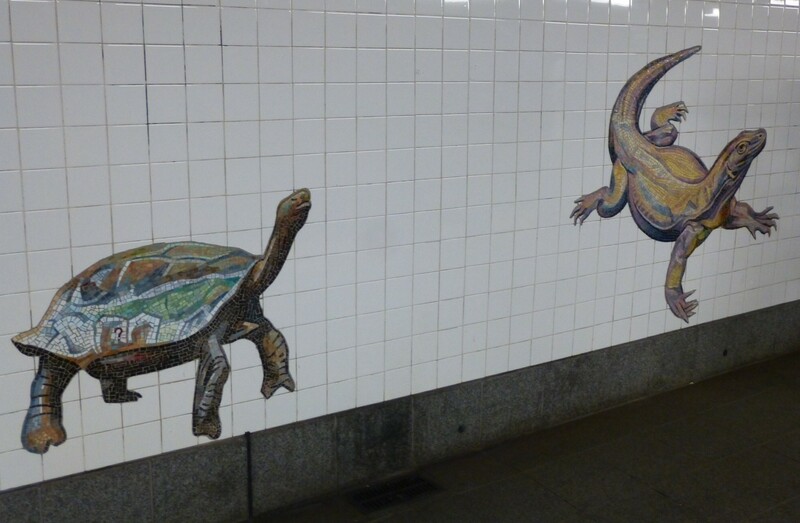 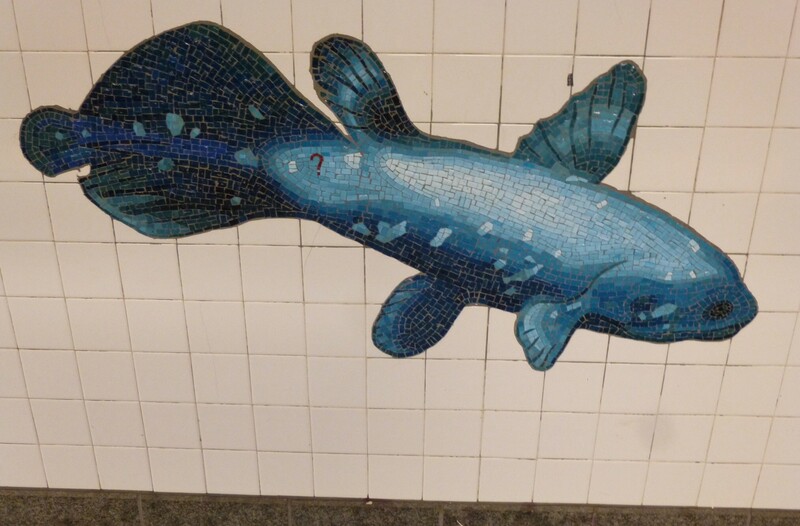 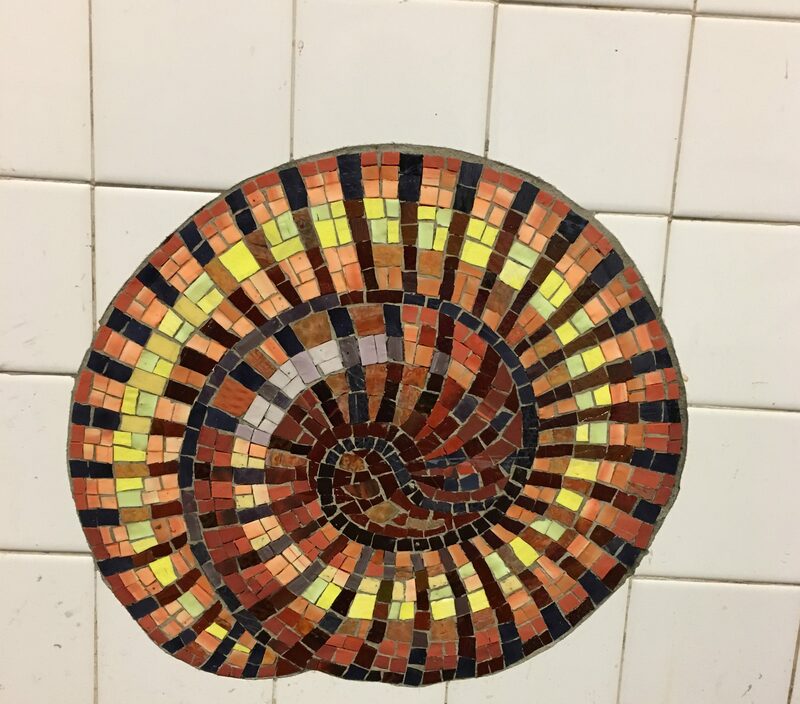 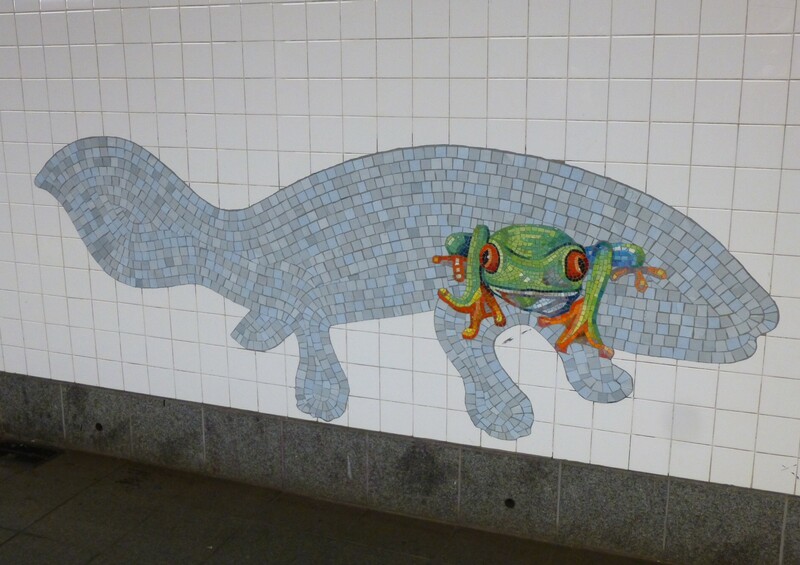 You will know when you are at the correct station (81st Street) when you see all kinds of colorful tile mosaic creatures crawling along the walls. 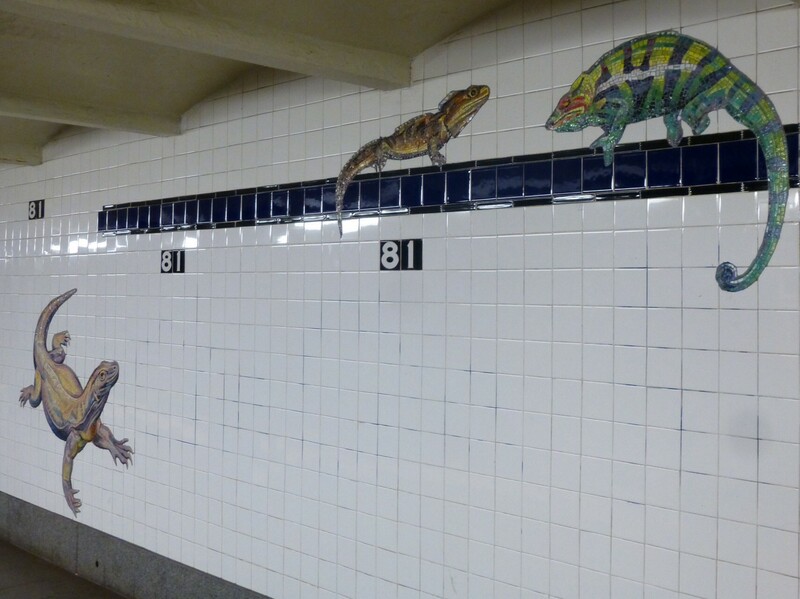 These gorgeous representations of reptiles, fish, insects and other creatures are part of a station-wide mural project (circa 1999) called For Want of a Nail, which also extends onto the stations lower level platform, exit ramp tunnels to the street and on both the uptown and down town stops (all photos in this post were taken on the uptown platform). 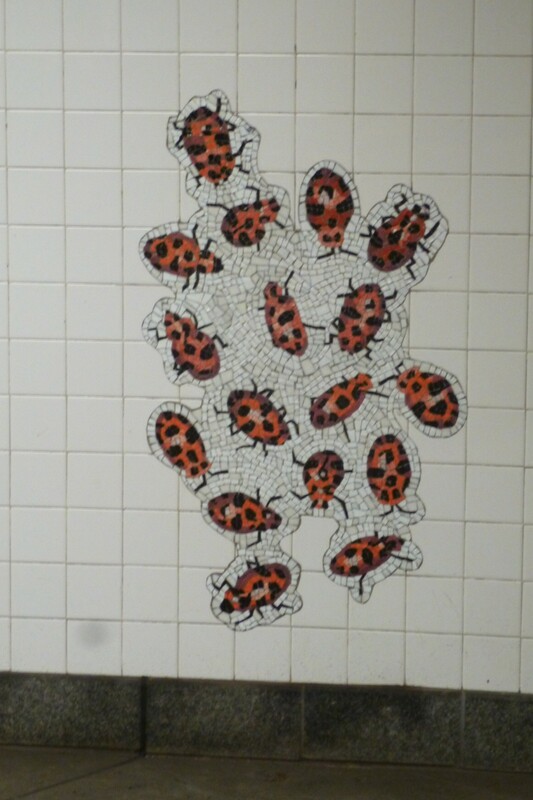 The theme of For Want of a Nail relates to the interconnectedness of all living things. 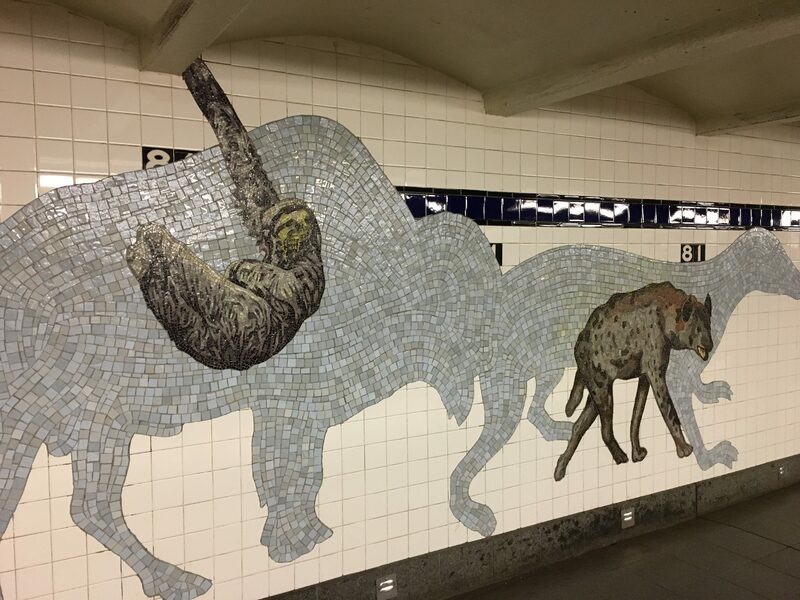 Animals depicted in grey shadow (such as the giant tortoise, above) are now extinct while living creatures are depicted in color. 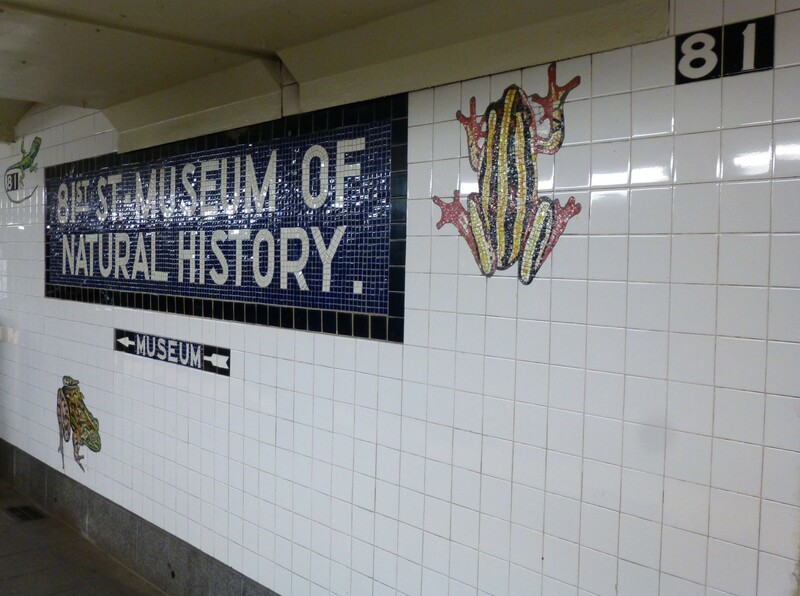 There’s always a lot going on at the Museum of Natural History, and it is very easy to get to. 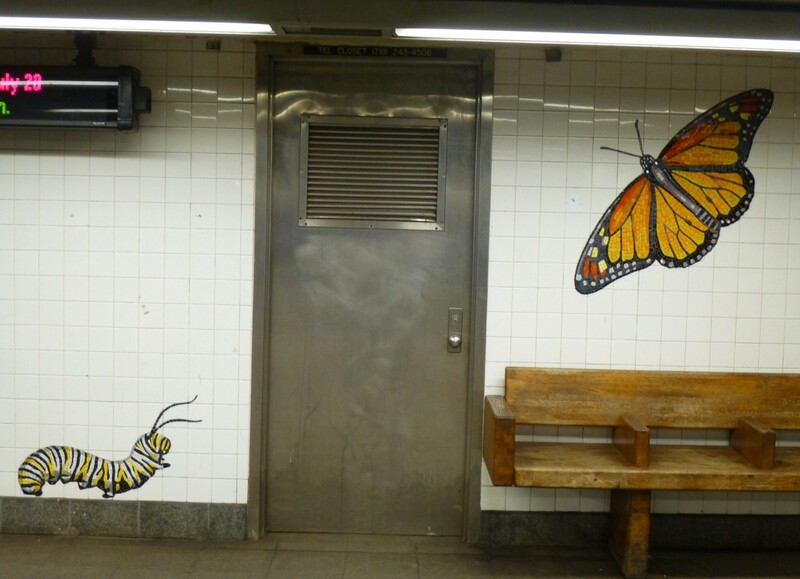 You should plan a summer visit right now!